It was great to hear both candidates acknowledge the importance of research for the future. As they explained, investment in research is crucial for supporting universities, creating jobs and maintaining America’s competitive edge (three of Research!America’s Top 10 Reasons Why the U.S. Should Invest in Global Health R&D). Research is also essential in protecting the health of the American people, as highlighted recently by a bipartisan group of Texas representatives. On October 12, 21 Texas representatives sent a letter to the Department of Health and Human Services and the Centers for Disease Control and Prevention asking for more action to address the West Nile virus outbreak. Mentioning the significant burden of West Nile in Texas and throughout the country (4,725 cases and 219 fatalities this year alone), legislators requested that the agencies prioritize the development of a FDA-approved West Nile vaccine. Government-funded projects have made progress toward a West Nile vaccine in the past, and additional research investment could help to turn these vaccine candidates into a reality. Research to develop a vaccine is particularly important in light of new information on the long-term burden of West Nile. Recent studies have shown that 40% of West Nile patients still have severe, productivity-limiting symptoms several years after contracting the virus. Other researchers have discovered a link between the virus and chronic kidney disease, even among patients that did not show any West Nile symptoms originally. In addition to the public health benefits of a West Nile vaccine, research investment into other neglected tropical diseases (NTDs) could also save American lives. NTDs like Chagas disease and dengue fever affect thousands of Americans every day, and political leaders must prioritize research for new prevention and treatment methods to fight these diseases around the globe and here at home. Nine times. That’s how often the word “research” was used in Monday’s third and final presidential debate. Clearly, both candidates recognize the importance of research and the role it plays in keeping our nation competitive. The election and decision-making around deficit reduction will put this rhetoric to the test. I was thankful for the opportunity to contribute to an article in Nature on the outlook for research and the candidates’ sometimes competing, sometimes intersecting visions for our nation. Many indicators point to the need for a “grand bargain” to avoid the fiscal cliff we have talked so much about. Rumors have it that informal talks are taking place now and will go into high gear during the lame-duck session of Congress beginning November 13. This is a critical time, and I urge you to participate in the biomedical and health research community’s Week of Advocacy, taking place November 13-16. Check out our new webpage (www.saveresearch.org) and join us on a conference call this Monday, October 29 (for details, click here), to hear our plans and to brainstorm ideas on how to maximize our collective impact. Money matters! Every year, we release our U.S. Investment Report, which tracks domestic spending – public, academic, industry, voluntary health organizations and philanthropic – on biomedical and health research. This year we not only look at the most recent investment numbers, but review the stakes going forward. On both fronts, the news is not good: 2011 saw a drop in overall investment – the first in a decade. And as you well know, the policy landscape is treacherous. Click here to view the report. Every week, we are learning more about the local impact that sequestration could have on a sluggish economy. The state of Maryland, home to the NIH and Johns Hopkins University, is a powerhouse of research. It stands to lose a staggering $5.4 billion in federal funding under sequestration. That alarming statistic, which comes from a report produced by American Association for the Advancement of Science (AAAS), was highlighted in a story by the Baltimore Sun. Another article, in The Scientist, cites a United for Medical Research (UMR) report to highlight the impact on California, which stands to lose 33,000 jobs and $4.5 billion in economic activity if sequestration goes forward. If we are to help steer our nation in the right direction, researchers must commit to political advocacy. That was the top-line message from a piece published by Dr. Thomas Pollard, professor of cell biology at Yale University, in the journal Cell. The article provides an excellent introduction to the advocacy landscape and ideas for getting more involved – I hope you will circulate this piece to as many researchers as you can! WASHINGTON, DC—October 25, 2012—Biomedical and health research and development (R&D) spending from all sources declined by more than $4 billion or 3% between FY10 and FY11 according to Research!America’s 2011 U.S. Investment in Health Research report. This represents the first drop in overall spending since Research!America began compiling the data in 2002. The decline follows an uptick in research funding attributed to the American Recovery and Reinvestment Act (ARRA), which allocated $10.4 billion to the National Institutes of Health (NIH) over two fiscal years (2009-2010). The overall downward trend in R&D spending is coming at a time when other nations are ramping up their own investments in research, and meanwhile, pending across-the-board budget cuts (sequestration) could reduce federal biomedical and health research funding by 8%-10% or more. Research!America’s 2011 U.S. Investment in Health Research report shows varying levels of health research funding in the private and public sector. For example, federal funding for research totaled $39.5 billion in FY11, a 14% decrease from the previous year’s total of $45.9 billion. Agency funds were distributed across all 50 states to hospitals, universities, independent research institutes and small businesses. Under sequestration, the NIH would lose $2.53 billion in funding in FY13. Overall, private industry has continually increased investments in R&D — a total of $77.6 billion in 2011, a 1.4% increase from 2010, despite inflationary pressure and the economic recession. The pharmaceutical industry increased its investment to $38.5 billion, a 3% increase from the previous year. In contrast, biotechnology investment declined by nearly $800 million, or 3%. The medical device and technology sector slightly increased investment in research, totaling $9.8 billion. Currently, more than 80% of R&D among PhRMA member companies is conducted in the United States, but R&D spending abroad has more than doubled over the past decade. Aside from federal and industry investment, other institutions spent $19.1 billion on health research, an increase of about 5% from the previous year. Universities increased spending of institutional funds for research to $11.9 billion in 2010, a 6% increase. Philanthropic spending decreased slightly, while voluntary health groups increased investment in research by 15%, or $131 million, from the prior year. According to funding projections in the report, the research investment landscape could worsen in 2013 and over the next decade. The scenario is different in other countries; as just one example, China has identified biotechnology as one of the seven “strategic and emerging (SEI) pillar” industries and has pledged to invest $308.5 billion in biotechnology over the next 5 years. Overall, the report provides analysis that outlines health research as one of the underpinnings of the U.S. economy and a key to improving the health of Americans. Research!America has issued estimates of the US investment in health research since 2002. All reports in the series are available online at www.researchamerica.org/research_investment. On World Polio Day, established by Rotary International, the global health community comes together to celebrate successes and renew commitments to eliminate polio once and for all. Polio is a highly infectious disease and can cause irreversible paralysis, but thanks to past research efforts, there is a polio vaccine that can prevent the disease. This year, World Polio Day is an opportunity to celebrate the achievements of the Global Polio Eradication Initiative (GPEI). Launched in 2008 by the World Health Organization, Rotary International, the Centers for Disease Control and Prevention and the United Nations Children’s Fund, GPEI is playing a critical role in the final push to immunize children around the world and eradicate this paralyzing disease. Rotary International, the first organization to become involved in the fight against polio, will have donated over $1.2 billion by 2013 and more than one million Rotary members have donated their time and personal resources to the effort. WHO oversees strategic planning for the initiative and develops standard guidelines for implementing vaccination programs. The CDC helps to train public health volunteers and CDC experts plan, implement and evaluate polio vaccine campaigns. The CDC is also responsible for polio surveillance, research and monthly reports on the progress toward global polio eradication. The outstanding efforts of these public health agencies and workers have reduced the global incidence of polio from an estimated 350,000 cases in 1988 to 171 cases in four countries in 2012. These public health heroes are exactly the kind of individuals that Public Health Thank You Day was created to honor. Celebrated each year on the Monday of Thanksgiving, Public Health Thank You Day is an opportunity to recognize public health agencies, professionals, and volunteers like those from Rotary International who work to protect the health of Americans and others around the world. To learn more, please visit http://www.researchamerica.org/ph_thank_you or like our Facebook page at https://www.facebook.com/PHTD1. If we cut back our investments in science and research, we will lose out on the companies and innovation that come with it. That was the message President Obama delivered Tuesday night during the second presidential debate. Governor Romney mentioned the wisdom of keeping STEM graduates in the U.S. by “stapling a green card” to their diplomas. In addition, Governor Romney responded to our Your Candidates – Your Health voter education initiative with a statement that stresses his commitment to ensuring government plays a role in supporting life sciences research and asserting that medical innovation must be a national priority. Please share both Governor Romney’s and President Obama’s responses with your networks and encourage other candidates to complete the questionnaire before Election Day. “Are we too numb to care about the Nobel prizes in science?” That was one of the headlines of my op-ed in response to the Nobel Prize announcements, published in nine McClatchy-owned newspapers across the country to date, including the Sacramento Bee. Headlines assigned by other editors tell the story: “Invest in science? A no-brainer,” “Why won’t we make a commitment to science?”; “World-class investment brings world-class science,” and “Science still needs support.” I describe how science is being given short shrift by policy makers as unprecedented budget cuts loom. Click here to read the op-ed and see a full list of the papers that have run it — this is a made-to-order opportunity for you to submit a letter to the editor. Keep the momentum of our message going! For something fresh to use in your letter, cite new data from Pew Research indicating that, asked about ways to cut the nation’s deficit, 54% of Americans are opposed to reducing funding for scientific research. Finally, I note with sadness the passing of Senator Arlen Specter. He will be sorely missed and long remembered for his steadfast championship of NIH. Research!America had the opportunity to honor him twice – in 2000 with the Whitehead Award and again in 2009 with our rarely given Legacy Award. His is indeed a grand legacy of significance to the health and well-being of the American public and people everywhere. That exemplifies the key takeaway: The white paper is aimed at stakeholders from research to health care delivery, but stakeholders alone won’t be successful in achieving health equity. Patients themselves must be involved too. And use current and emerging technologies to engage a larger number of patients. Support for the white paper was provided by The Avon Foundation for Women. Friends of Cancer Research is a Research!America member, and FOCR’s chairperson and founder, Ellen Sigal, PhD, is a Research!America Board member. Since 1992, when the United Nations declared October 17 as the International Day for the Eradication of Poverty, the world has come together on this day to recognize those who suffer and to renew commitments to fight poverty. This year, the U.N. is raising awareness of the violence and discrimination that accompanies extreme poverty. In addition to the threat of violence, the conditions of extreme poverty dramatically increase the risk of contracting neglected tropical diseases, a group of parasitic and bacterial infections that disproportionately affect people in poverty. This year, we must also raise awareness of NTDs and the research necessary to eliminate these diseases that affect more than 1.4 billion individuals worldwide, including people right here in the U.S.
Often referred to as “diseases of the bottom billion,” NTDs are closely linked to the poor living conditions experienced by impoverished communities. These diseases thrive in areas with poor sanitation systems, and inadequate shelters make individuals susceptible to bites from disease-carrying insects. Not only are poor individuals more likely to be exposed NTDs, but these diseases can trap individuals in a disabling cycle of poverty. Trachoma, the world’s leading cause of preventable blindness, results in an estimated $2.9 billion in lost productivity each year. Hookworm, an intestinal parasite that causes anemia and malnutrition, infects more than 575 million people worldwide and is estimated to cause a 43% reduction in future wage earnings. On the International Day for the Eradication of Poverty, we must recognize this relationship between NTDs and poverty and renew our commitment to eradicating NTDs. Cost-effective prevention and treatment methods do not yet exist for many of these diseases. More effective diagnostics and drugs could substantially improve treatment outcomes, while vaccines could eliminate the risk of NTDs altogether. Additional research to develop these new tools is not only essential for efforts to eliminate NTDs but is a crucial step for global efforts to eradicate poverty. For every dollar spent on prevention, more than five dollars is saved in health spending. Every $1 spent on childhood vaccines saves $16.50 in future health care costs. To learn more about how public health research benefits our lives every day, please check out the American Public Health Association’s Public Health Infographic and make sure to thank your public health professionals on the Monday of Thanksgiving, Public Health Thank You Day. We extend our deepest condolences to Senator Arlen Specter’s family, friends and colleagues as they mourn the passing of a loved and respected statesman and a true champion of medical research. Specter’s leadership in generating critical support for medical and health research is a testament to his dedication to improving the health of all Americans and securing our position as a global leader in science and innovation. As a congressional leader, Specter played a pivotal role in the doubling of the National Institutes of Health (NIH) budget over five years and two Administrations and in 2009 assured that funding for the NIH and other health agencies were included in the American Recovery and Reinvestment Act. He was also a stalwart advocate for embryonic stem cell research and worked to secure U.S. funding for the Global Fund to Fight AIDS, Tuberculosis and Malaria. Research!America was proud to honor Specter with our rarely-awarded Legacy Award in 2009 for his noteworthy contributions and the Edwin C. Whitehead Award for Medical Research Advocacy in 2000. His remarkable achievements as an advocate for scientific discovery will be long remembered and greatly appreciated by future generations. Why do you think we should be investing in global health research and development? Research!America has just released “Top 10 Reasons Why the U.S. Should Invest in Global Health R&D.” This evidence-based list provides compelling reasons why these investments are critical for the U.S., ranging from the humanitarian benefits to research as a powerful driver of U.S. economic activity. The list can be found on Research!America’s new Global Health R&D Advocacy website. The site introduces Research!America’s new initiative for neglected tropical diseases (NTDs), including a recently released fact sheet on NTDs in the U.S. Additional NTD resources include a global health budget section, a section on the value of the U.S. investment in global health, and a globally focused NTD sheet, which will be available soon — so check back! Please let us know what you think should be included on the Top 10 list in our comments section below — we may incorporate your suggestions into our future publications! This week’s Nobel Prize announcements are a fine reminder of how government-supported research plays a critical role in expanding our knowledge, leading not only to worldwide recognition but taking us closer to understanding and curing disease. The winners of the prize for chemistry, Dr. Robert Lefkowitz, Howard Hughes Medical Research investigator and professor at Duke University Medical Center, and Dr. Brian Kobilka of Stanford University School of Medicine both received grants from the National Institutes of Health, as did one of the physiology and medicine awardees, Dr. Shinya Yamanaka. They are among the many Nobel laureates whose important work throughout the years has been supported by the American taxpayer. Wouldn’t it be great if candidates for election this November were talking about the Nobel Prizes? Among the responses to our voter education initiative we received this week was the telling remark from one incumbent that not only does his campaign not have a science advisor, he believes that no candidate (for the House) does! Although we know for a fact that he isn’t entirely correct, his perception is close enough to reality to give an insight into the priority level our issue has in this election. We’ll know that candidates care about worldwide recognition in science — which is at least as competitive as the Olympics — when they talk up American “wins” of the Nobel science prizes. Don’t let the candidates’ apparent disinterest in the Nobel stop you from drawing attention to the awardees’ accomplishments. Write a letter to the editor today! Far from being a priority, research, and thus medical progress, is threatened by the specter of sequester. Research advocates must work together to convey the same message to policy makers: prioritize health research. Life Technologies, a Research!America member, has launched a new grassroots tool that makes it quick and easy to reach out to your representatives to urge them to halt the sequester before it’s too late. We’re continuing to hear more about the local impact of sequestration, and that is a good thing if we expect to stop it in its tracks. Typical of explanations we’re seeing is that of Dr. Bill Chin, executive dean for research at Harvard Medical School, who describes sequestration as a “knife hanging over our heads … About a quarter of new grants won’t be funded and funding will be reduced for current projects working on cures for cancer, Alzheimer’s, diabetes and heart disease, all of which have had remarkable advances recently.” The New York Times, citing a report from AAAS, explains that federal R&D funding could be cut by more than $12 billion in 2013 alone. The article calls out the vital role of the government in incubating the new ideas that are commercialized by the private sector, leading to new jobs and even new industries. Talk about return on investment! (And we should talk about it!) Clearly, maintaining and boosting our investments in research is one of the key ingredients for repowering and revitalizing our economy. Vice President Joe Biden will be facing off with Rep. Paul Ryan in the vice presidential debate tonight. We can expect health and health care to be part of the discussion, which provides an opportunity to connect the dots to research. As you monitor the discussion, be sure to weigh in on social media to remind the candidates that research for health should be a priority as we seek to drive innovation and medical progress. On October 11th, World Sight Day, the World Health Organization will raise awareness about visual impairment around the world, as well as their Vision 2020 initiative aimed at eliminating avoidable blindness by 2020. WHO estimates that 285 million people worldwide are visually impaired and about 39 million of those individuals are permanently blind. However, up to 80% of these cases are due to preventable causes like cataracts, glaucoma, diabetes, trachoma and onchocerciasis. The last two causes on that list may not sound familiar – trachoma and onchocerciasis are two types of neglected tropical diseases (NTDs), diseases that have historically received little attention despite affecting 1.4 billion people throughout the world and right here in the U.S. On World Sight Day, we must not only raise awareness about these diseases, but of the need for additional funding and research to eliminate NTDs once and for all. As the world’s leading cause of infectious blindness, trachoma results in an estimated $2.9 billion in lost productivity each year. Trachoma is a parasitic infection that mainly affects poor, rural communities in Africa and Asia. WHO has established key strategies for eliminating the disease, including surgery and antibiotic treatments for affected individuals and educational campaigns about the importance of facial cleanliness. 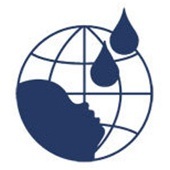 International partnerships between the U.S. Agency for International Development, the International Trachoma Initiative and pharmaceutical companies have implemented these programs and helped to reduce trachoma cases from 149 million in 1997 to 60 million in 2008. Onchocerciasis, or river blindness, is the second leading cause of infectious blindness and can result in over $30 million in economic losses each year. Onchocerciasis is a parasitic infection transmitted through black sand flies and primarily affects river communities in sub-Saharan Africa. Through collaboration with global partners like WHO and USAID, the African Program for Onchocerciasis Control has focused on insecticide spraying and administering drugs in high risk communities since 1995. Overall, this strategy has reduced cases of river blindness by 73%, down to an estimated 37 million cases today. This year on World Sight Day, we must celebrate the progress that has been made, while recognizing that there is clearly more work to be done. Current programs can be difficult to implement in rural areas and vaccines do not exist for either of these diseases. Additional investment in NTD research to develop new prevention and treatment methods will be an important component for Vision 2020’s efforts to eliminate preventable blindness around the world. On September 30, The Washington Post highlighted efforts in Haiti to eliminate lymphatic filariasis, commonly known as elephantiasis. A neglected tropical disease (NTD), elephantiasis is a parasitic infection spread by mosquitoes that can lead to swelling of the arms or legs — sometimes severely enough that individuals with the disease are stigmatized or unable to work. The good news is that elephantiasis can be prevented with anti-parasitic medicines. The Centers for Disease Control and Prevention and the U.S. Agency for International Development’s NTD program have taken a leadership role in administering these drugs in countries that are affected by elephantiasis. U.S. public health professionals have joined forces with local public health professionals and helped to organize programs, provide technical assistance and monitor progress. Through the collaborative efforts of these invaluable individuals, nine countries have already been declared free of elephantiasis. With support from the CDC and international charities, the Haitian health ministry is working hard to distribute this life-saving medication and join the list of countries free of elephantiasis. This kind of outstanding work by public health professionals happens every day all around the world. Although there is no risk of elephantiasis in America, there are other NTDs emerging in the U.S. such as Chagas disease, West Nile virus and dengue fever. The CDC and other public health professionals play a crucial role in treating these diseases and organizing prevention and education campaigns here at home. These tireless individuals keep our drinking water safe, our air clean and our children healthy. Please join Research!America and other public health organizations in recognizing these public health heroes on November 19 for Public Health Thank You Day. For more information or to learn how you can get involved, please visit www.researchamerica.org/ph_thank_you or like our PHTD Facebook page at www.facebook.com/PHTD1. Brian Vastag, science reporter at The Washington Post, recently found himself infected with the very disease he had been reporting on for months: West Nile virus. Detailing the raging fevers, interrupted sleep patterns and tingling in his arms and feet, he called himself a “West Nile zombie.” Brian’s story highlights the importance of research to develop new prevention, diagnostic and treatment methods for West Nile virus. It took eight weeks and several doctors before an infectious-disease specialist was able to correctly diagnose him with West Nile. Once diagnosed, he still had to endure the fevers, joint aches, headaches and interrupted work and simply wait for the virus to go away on its own. Beyond the agonizing symptoms of the disease, it was estimated that in 2002, West Nile cost the United States about $200 million in direct medical costs. Considering 2012 is on record to be the deadliest year we’ve seen, one can only imagine the medical costs of West Nile this year. As Brian points out in the article, we must acknowledge the true costs of these diseases. Research to develop a West Nile vaccine would not only save lives, but would save millions of dollars in future health care costs and lost worker productivity. Similarly, better diagnostic and treatment options would allow doctors to identify the virus sooner and more effectively treat patients. In an effort to increase awareness about the importance of research for West Nile and other neglected tropical diseases, Research!America has released a new fact sheet called “NTDs in the United States.” The fact sheet details the burden of NTDs here at home and highlights important NTD research activities in the U.S. To see the fact sheet and learn more about NTDs, please visit www.researchamerica.org/gh_ntds.